The majority of Windows applications are known for following a standard installation process, that is very easy to understand for any user, no matter what computer knowledge level they have. To be able to create these installers, there are many paid tools like InstallShield, for example, and also free tools like Inno Setup. 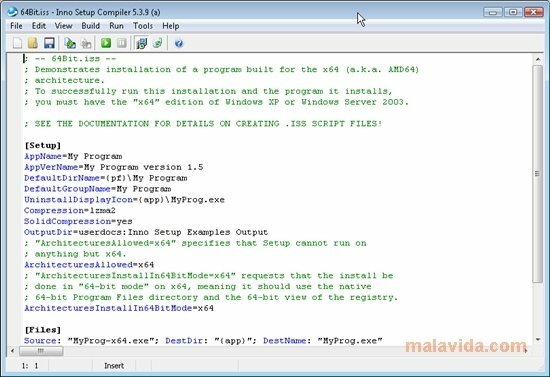 - Creation of .EXE extension installers, with multilingual support, making it easier to distribute and install your own applications. - Support to generate installers that are encrypted by means of password. - Compatibility with almost all versions of Windows: 7, 2008 R2, Vista, XP, 2008, 2003, 2000, Me, 98, 95 and NT 4.0, including the 64-bit versions. - Possibility to choose the type of installation to be carried out: complete, minimum or customized. - Inclusion of uninstall tools. - Capacity to add the typical icons and shortcuts to the Windows StartUp menu once the installation is over. 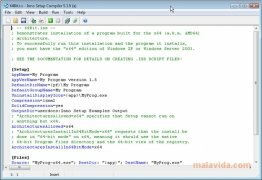 The creation of these installers is carried out by means of programing small scripts. To make Inno Setup easier to use, the developers have included a vast documentation together with a large amount of example scripts together with the application. 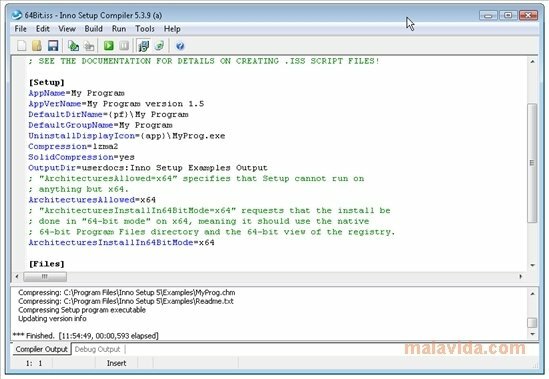 If you're a developer and you want to create your own customized installation packs for the applications that you have created, you can do so thanks to Inno Setup.